A ten-year-old boy has died and an eight-year-old girl has been left seriously injured. A ten-year-old boy has died and an eight-year-old girl has been left seriously injured after an incident at a property in Coupar Angus. Police were called to a house on Union Street at around 2.30am on Sunday after a call from a member of the public. Officers found two children at the property and an injured man nearby. 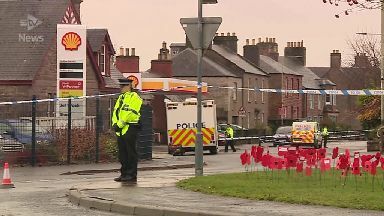 One child, aged eight, was found with serious injuries and was taken to Ninewells Hospital in Dundee. The boy, ten, died at the scene. He added: "There will be a police presence at the scene for some time while we undertake our investigation and I would like to thank the local community for their patience whilst we carry out our work. "There will be additional patrols by local community based officers in Coupar Angus to help provide some reassurance to the community."